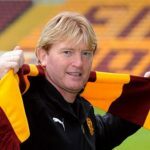 Three seasons, three best-of-the-rest finishes, Motherwell were living the dream under the guidance of Stuart McCall. After the departure of Craig Brown to Aberdeen late in 2010, McCall was offered the chance to manage in Scotland for the first time in his career. Stephen Robinson admits it has been a whirlwind return to Fir Park. 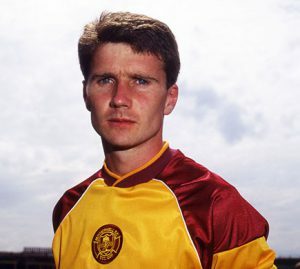 The Northern Irishman, who had previously worked as assistant to Ian Baraclough and Mark McGhee, was brought back to Motherwell in February, tasked with assisting McGhee in guiding his struggling side to safety in the Scottish Premiership. However, in football nothing is straight forward. 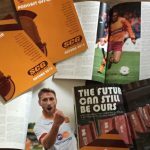 Pictures – SNS Pix & Motherwell F.C. Almost 20 years of my life were spent in the world of football. I was not living in the real world. I was living a dream. To countless millions, football and life go hand in hand. When Shankly said that football was more important than ‘life or death,’ was it sporting drama? 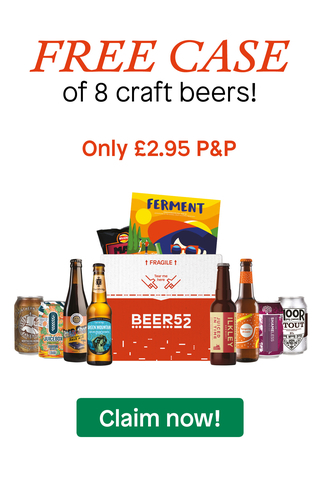 Could it really be true? Surely not. Off-Air 2 – Thank You! The MFC Podcast are delighted to announce that their ‘Off-Air 2’ project has currently raised £1110 for Imogen’s Dream. 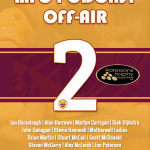 ‘Off-Air 2’ was released at Friday’s launch night held at the Centenary Suite at Fir Park. ‘Off-Air 2’ Launch Free to All! 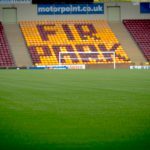 Entry to the MFC Podcast ‘Off-Air 2’ launch event at the Centenary Suite, Fir Park on Friday evening will be FREE for all. 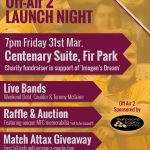 On Friday 31st March, the Centenary Suite at Fir Park will host the ‘Off-Air 2’ launch night. Those that have pre-ordered their copy of the book will be able to collect their copy and have it signed by many of those featured in both ‘Off-Air’ and ‘Off-Air 2’. After the signing the podcast will be holding a Q&A and the night will conclude with a football quiz – where teams can compete for the chance to win £50! The MFC Podcast team are today delighted to announce the first 10 interview for our forthcoming charity publication ‘Off-Air 2’. In the next few days further names from the current Motherwell side as well as both players and managers from the past will be announced to complete the line-up. The MFC Podcast are delighted to confirm that our charity publication ‘Off-Air’ will return at the end of March. Over the last few weeks the podcast team have been gathering yet another star-studded line-up for the project, with plans to reveal the first names on February 1st. Like the first edition of ‘Off-Air’, ‘Imogen’s Dream’ charity will receive all profits from the project.